What Do Westinghouse Housing Codes Mean? 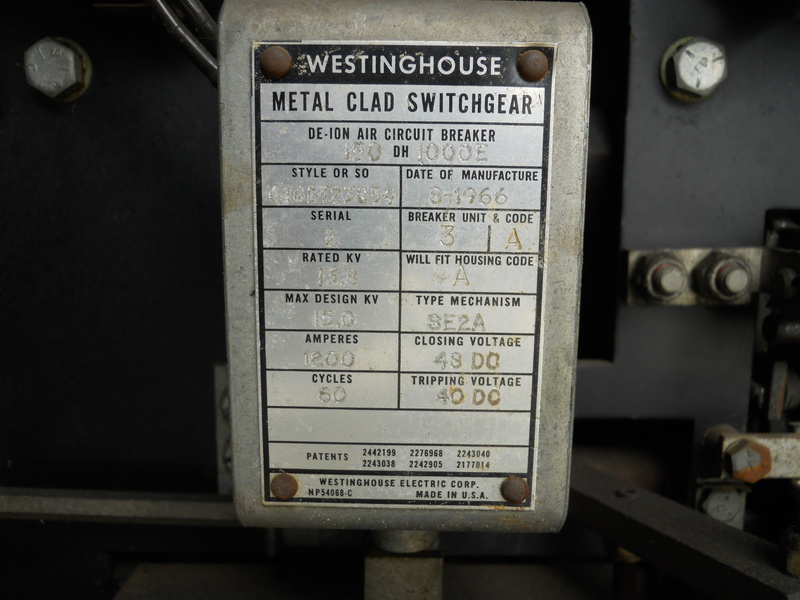 On some Westinghouse air breakers, a special code is stamped on the nameplates which causes some confusion when replacing and maintaining the breakers in the field. It is called the “Housing Code” and is designated with a single letter. Ironically, the housing code was originally intended to avoid the very confusion that it is causing today. So, what is a housing code—and more importantly, what do we use it for today? In the 1960s and early ‘70s, a housing code was the factories designation to indicate interchangeability between circuit breakers within the lineup of switchgear as it was produced from the factory. Let’s look at an example. If you have a double-ended lineup of Westinghouse type DB air breakers and it’s designed with 3,000 amp electrically operated DB 75 mains, A DB 75 tie with 2,500 amp trips, and 12 1,600 amp, DB 50 feeders and the feeder breakers have trip units rated 1,600 amp, 1,200 amp and 800 amp, you might have the following designations. This system ensured that operators had an easy way to identify interchangeability when the switchgear was new. However, housing code designations effectively became obsolete over the years with modern solid state trip units. These new solid state trip systems are more effective and accurate and much more adjustable than the original series overcurrent trips supplied by the OEM. They allow breakers that are mechanically interchangeable to also be adjusted to be electrically interchangeable with other breakers in the same line up. These trip units can and must be adjusted by qualified technicians to ensure that each breaker is set to protect each load safely and effectively. This housing code continues for breakers in the medium voltage class as well but is less complicated. For example, if there is a lineup with 2,000 amp mains and 1,200 amp feeder breakers, the 2000s would all be designated “A” and the 1200s all designate “B” because they are all mechanically and electrically interchangeable. The overcurrent trip function is controlled by current transformers and panel mount relays and are separate from the draw out elements. Whether you need help identifying circuit breakers or finding the right switchgear parts for your facility, NPE can help. Our extensive inventory of parts and expertise has made us to-go source for solutions for switchgear and circuit breaker needs. Go to our NPE on the Go mobile site or contact us today to talk about your needs and how NPE can help. Copyright © 2019 National Power Equipment, Inc.. All rights reserved.